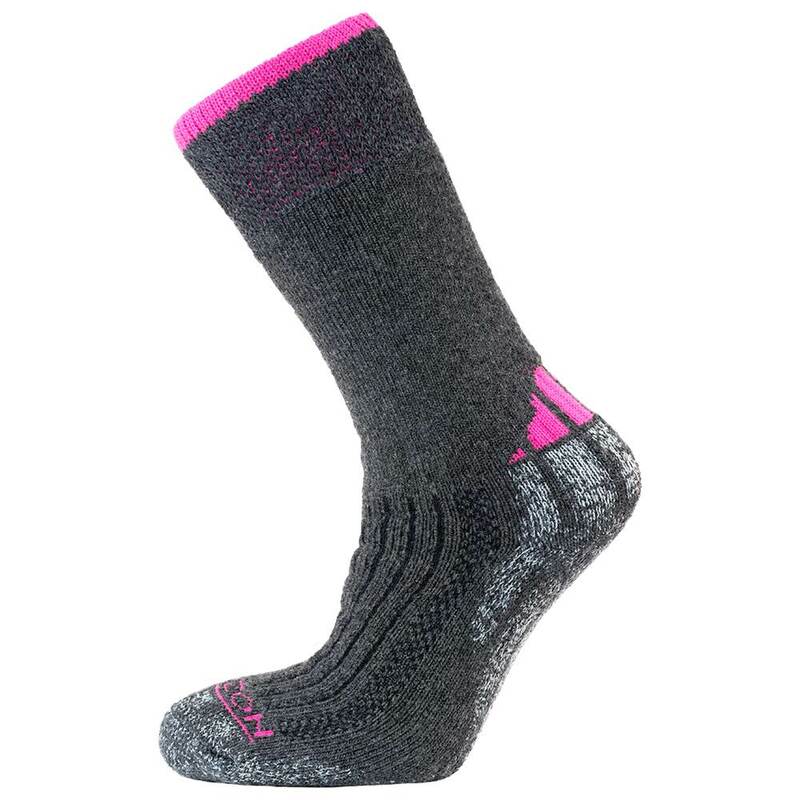 The Horizon Performance Expedition PrimaLoft® / Merino Wool Sock is the ultimate expedition sock for hikers and trekkers who take their kit selection seriously. Not only is Primaloft the benchmark in performance synthetic insulation for extreme conditions but it's as soft as cashmere giving you the warmest, most luxurious expedition sock going. The Silver content gives the socks an antibacterial finish, while the Isolfil polypropylene in the sole wicks away moisture keeping the feet dry whatever the conditions. The vulnerable heel and toe areas are reinforced with hard wearing Cordura, the ventilation channels increase the socks breathability and the fine recessed toe seam reduces any rubbing. 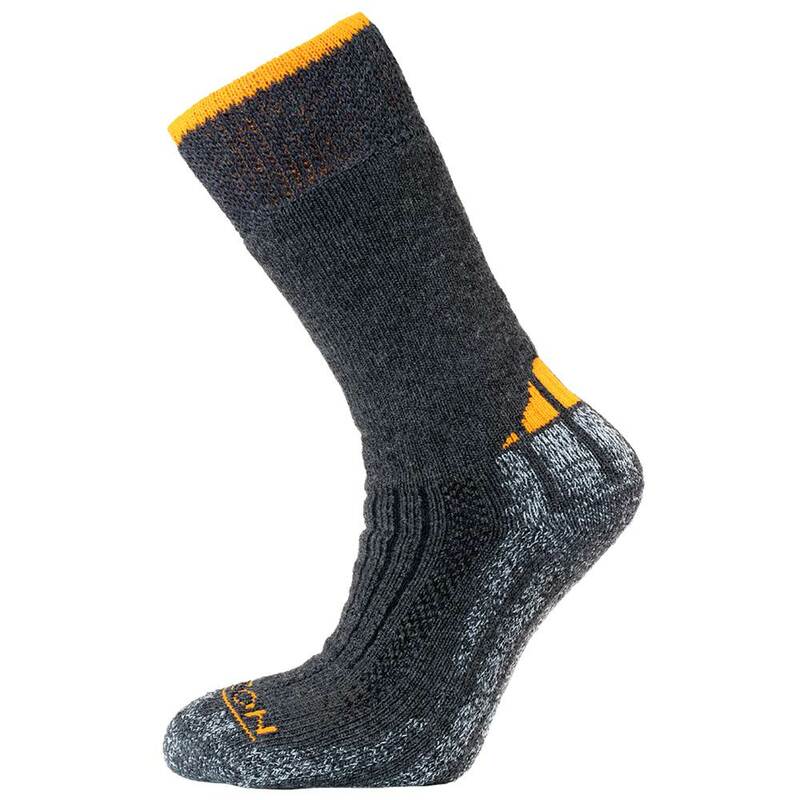 This sock is what expeditions and trekking was made for.